Makena self-catering cottage in one of the first two cottages on Sandai Farm and can sleep up to 6. 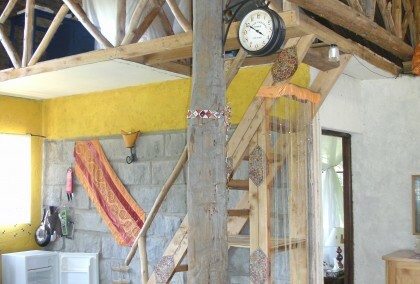 Chui self-catering cottage in one of the first two cottages on Sandai Farm and can sleep up to 6. 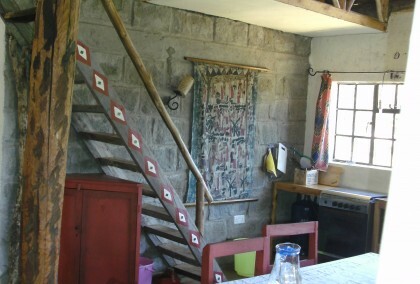 The medium sized self-catering cottages next to the Aderdares, Chui and Makena, are situated on Sandai Farm and are two cottages in a twin-house consisting of two similar cottages. Each medium sized cottage has 3 bedrooms whereby one is an open bedroom in the gallery overlooking the living and dining area. Each cottage can therefore accommodate 4+2 people. For bigger groups both cottages can be rented. Sleeps 8+4.